I just got these cool buttons made through my good friends Rachel and Keith over at Pinhead Buttons (I have them linked on the right) and they rock! 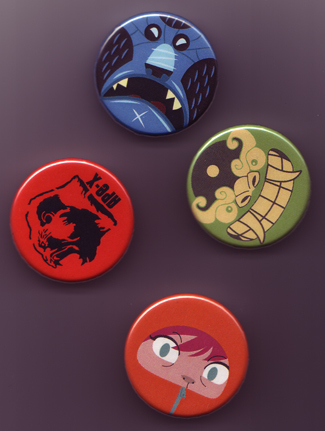 If anyone ever needs buttons made I highly recomend em'! these are pretty sweet! I gotta get some made.